Rediff.com » Movies » Bollywood jab mamu ban gaya! Bollywood jab mamu ban gaya! Ranbir Kapoor joined the long list of Bollywood's mamus when his sister Riddhima delivered a baby recently. Like mamu, like bhanja. And vice-versa, too. There's a perception that Imran is a lot like Aamir in terms of his habits, his acting style and the way he's approaching his career. Aamir's biggest gift to his nephew was when he launched him with Jaane Tu... Ya Jaane Na. Don't forget, Imran played the young Aamir in the latter's Qayamat Se Qayamat Tak and Jo Jeeta Wohi Sikandar. 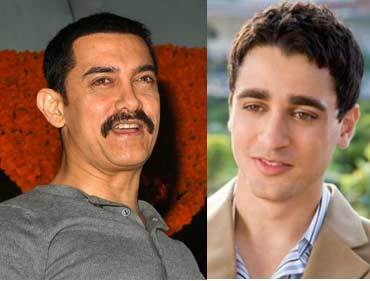 How did Imran ever jump from playing Aamir on screen to playing Aamir in real life? 'Subah ho gayi, mamu' from Munnabhai MBBS suits this situation rather perfectly. 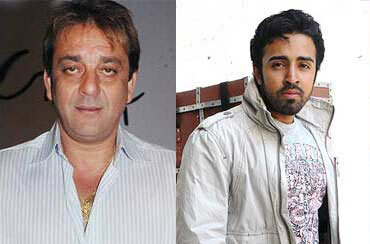 When the mamu in question happens to be Sanju, the bhanja can rest assured that he will be launched in Bollywood. Nilesh Sahay, Dutt's sister Zahida's son, made his debut with Angel in which he imitated his famous uncle in a few scenes. The film flopped without anyone noticing it. Perhaps Nilesh should coerce Dutt into re-launching him with the mamu himself shaking a leg in a guest item number. Ain't that the trend? For all his claims that he doesn't make films to launch his kids and that he doesn't believe in dynastic set-up, the irrepressible Bhatt did introduce nephew Emraan into the movies. They forged such a bond that the filmmaker almost stopped working with outside heroes and invented a cottage industry of his own with Emraan leading the pack. 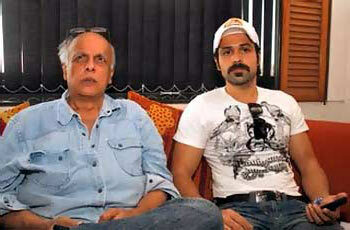 In a way, Bhatt has also been a mentor to Emraan. To date, whenever the bhanja has a problem, he knows which door to knock at. Once upon a time, there was a bhanja who was a chartered accountant by profession. He went to the UK, and decided to settle there. 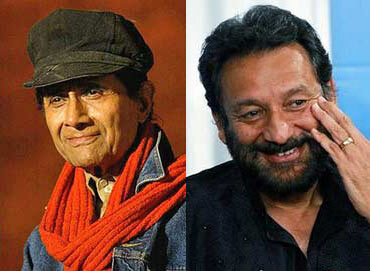 One day, his India-based mamu called him to offer him a film as an actor. The nephew wasn't sure but decided to give it a shot. That decision to come to India and get into the magic that is called cinema changed his life. That, in a nutshell, is the story of Shekhar Kapur, whose chance tryst with films came when his favourite 'Dev mama' offered him to act in Ishq Ishq Ishq. The fact that Shekher went on to rewrite history as a filmmaker is another story for another day. Known as much for his late-coming habits as his impeccable comic timing, Govinda's greatest legacy, for all you know, could turn out to be the unending list of his bhanjas (and bhanjis). 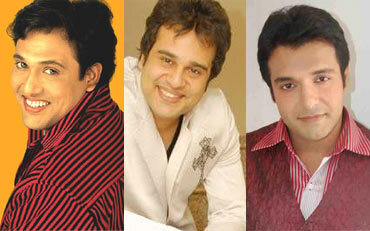 At first, Govinda tried helping Vinay with films such as Aamdani Atthanni Kharcha Rupaiya. Then he shifted his focus towards Krushna whose career as a television stand-up picked up a little too late but successfully. That's not all. Last heard, Chi Chi still has a long pending list of bhanjas he's slated to help get that elusive 'Bollywood break'. It's often said by those in the close Khan circles that Salman is at his best when he is with kids. 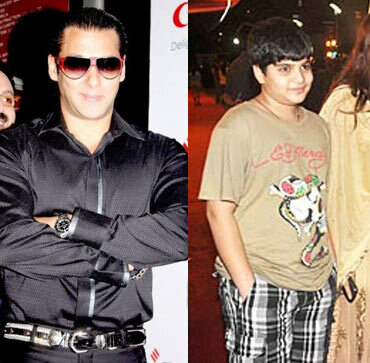 The apple of his eyes are brothers Arbaaz and Sohail's children and bhanja Ayaan, who is sister Alvira's son. Salman spends a lot of time playing with him when he's home. He frequently takes Ayaan out to his Panvel farmhouse and treats him (and other kids) to games, chocolates and toys. He even organises his birthday parties and makes sure he shakes a leg with the bachchas and their buddies. What a mamu Chulbul Pandey is! If you're the Oscar-winner maestro's nephew, you'll have music run in your veins. The fact that Prakash, son of Rahman's elder sister, would also take to music composition is an easy guess. Those who've heard Prakash's music say he's clearly inspired by his mamu. 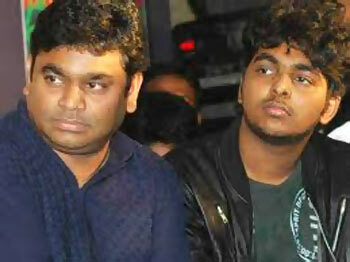 What's more, Rahman thinks Prakash to be a good musician. With such mutual admiration towards each other, it looks unlikely that there will ever be any competition between this mamu-bhanja pair. Now, that should be music to their ears. He refused to help son Mimoh have an easy way round in showbiz. Instead, he told him to make his own destiny and if need be, struggle it out to find a film role. 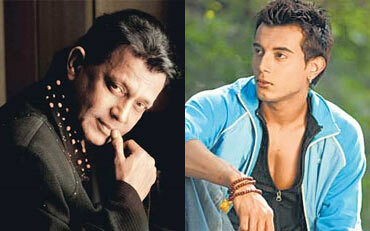 There's no way the principled Mithunda would help nephew Daebuu (his sister Kalyani's son) get into Bollywood. Realising this, the bhanja has decided to pick his own path. Nevertheless, Daebuu has asserted that he can dance really well. Did Mithunda teach him a move or two? Vote: The Sexiest Star Wife! Would these gals look good opposite SRK?